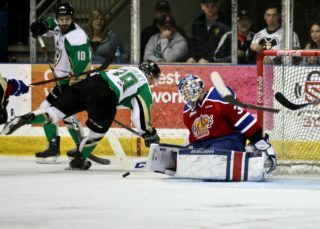 Warman, SK – The Prince Albert Raiders dropped their final pre-season game against the Saskatoon Blades 5-2 at the Legends Centre in Warman on Saturday night. The Blades got on the board first when Cameron Hebig tallied a power-play goal with 4:26 to play in the opening period. In the second, Hebig scored his second power-play goal of the game just 2:07 into the middle frame. Gage Ramsay increased the Blades’ lead to 3-0 with his second of the pre-season at the 9:35 mark. 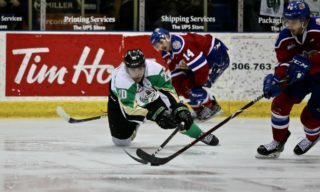 About a minute later, Sean Montgomery got the Raiders on the board with his third goal in two pre-season contests to make it a 3-1 game. Curtis Miske and Kaiden Guhle registered assists. However, less than a minute later, Kirby Dach solved goaltender Brett Balas to restore Saskatoon’s three-goal lead. Then with 2.9 seconds to play in the period, Hebig finished off his hat trick to give the Blades a 5-1 advantage. Montgomery found the back of the net again 7:19 into the third period to cut the Blades’ lead to 5-2. Miske and D-Jay Jerome assisted on the goals. It was as close as the Raiders came in a penalty-filled final frame, highlighted by a fight between Justin Nachbaur and Payton McIsaac. Balas stopped 38 of 43 shots in a losing effort for the Raiders. Logan Flodell made 30 saves for the Blades. 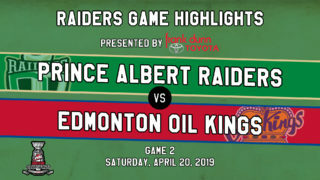 The Raiders wrap up the WHL Pre-season with a home-and-home series against the Regina Pats, beginning Friday night at the Brandt Centre. 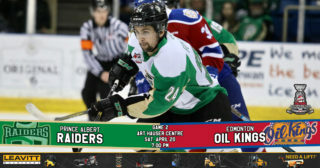 The series shifts to Prince Albert on Saturday night. Puck drop is 7 p.m. 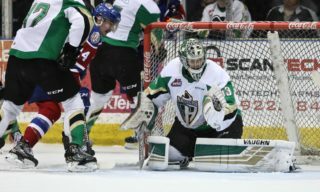 The 2017-18 WHL Regular Season begins on Friday, September 22 when the Raiders host the Moose Jaw Warriors. Game time is 7 p.m. Single game tickets are available now at the Raider Office or at raiderhockey.com.